Welcome to the New Town Toyota parts and accessories community forum. We have created this community forum so our customers and Toyota owners in general can discuss and share experiences related to their Toyota vehicles and lifestyles. You must create a user name and password to contribute to the forum. Is is important that while we wish this forum to be open to all comments we cannot allow any abusive members or profanity within the forum. Users who abuse others or use profanity will be blocked. Your opinion is valued here whether it is a compliment, complaint or anything in between but the rule is to share your opinion respectfully. We must however make it clear that all opinions and posts within the forum (other than from authorised agents of New Town Toyota) are 3rd party independent comments, opinions or views and are not endorsed or verified by New Town Toyota. While we accept that many people may offer opinions or advice on different subjects these are the advice or opinions of the individual user and not New Town Toyota. 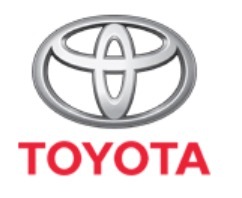 New Town Toyota accepts no liability whatsoever for content published by third parties. Further New Town Toyota only supports and recommends Genuine Toyota Parts & Accessories be fitted to Toyota vehicles and that all service and maintenance of Toyota vehicles be carried out by an authorised Toyota Service Centre.